Note on a visit to the ArtScience Museum in Singapore. TeamLab’s mesmerising exhibition halls. Stunning architecture. Lily pond. The ticket desk warned adults that about 60% of the exhibits were for children. There was no need. The exhibition spaces were mesmerising, children and adults alike absorbed in the shifting images and games. It was like one of those busy open days at the Living Field garden: people marvelling at the diversity of life, children quietly buzzing around the activities and all coming to appreciate that people and nature can coexist. The main exhibition halls were below ground, underneath the ‘palm’ and ‘fingers’ that are the visible part of the structure. 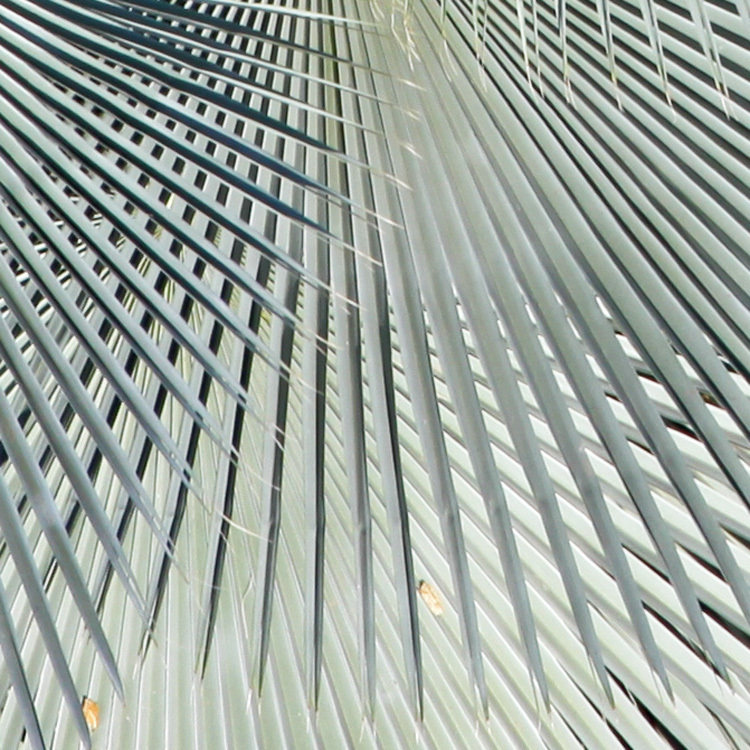 The ‘palm’ appears supported only near the base. A lacing of struts extends throughout the fingers. The concept of the quite stunning building was explored in early sketches by Safdie Architects, viewable in the foyer . 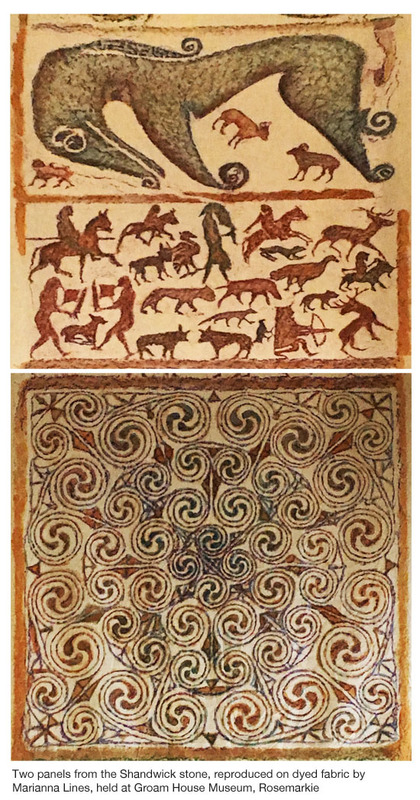 One of the sketches is shown above left. The main permanent displays, given the name ‘Future World – where Art meets Science‘ are housed in the below-ground chambers. They were made by teamLab, founded in 2001 and comprising a group of ‘ultra-technologists’, bringing together ‘hundreds of innovative thought leaders from multiple technical and creative backgrounds’. In first exhibition – Nature – people interact with the various streams of images projected onto, or rather part of, the walls and floor. Photo of the exhibition panel. Click on the image to see a larger readable copy. ‘Water’ streams down the far wall and along the floor. The flow is deflected if a person moves close to the wall or stands on the floor. Butterflies emerge and flap round the walls. They disappear if touched. Incessant, low volume, musical sounds accompany the movements. You’d think they would soon grate, but they didn’t, even after an hour of wandering in the space. The descriptive panels explain the purpose: people affect nature all the time; they are part of it, not distinct from it. They can destroy it but need it. 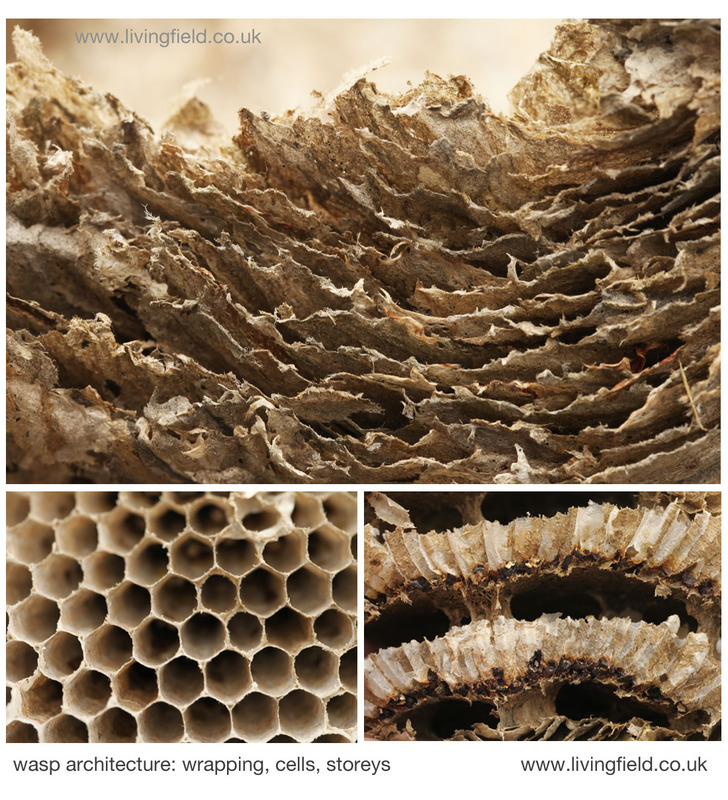 The photographs shown in the panel above – all from Nature – are phone snaps taken in the available light. 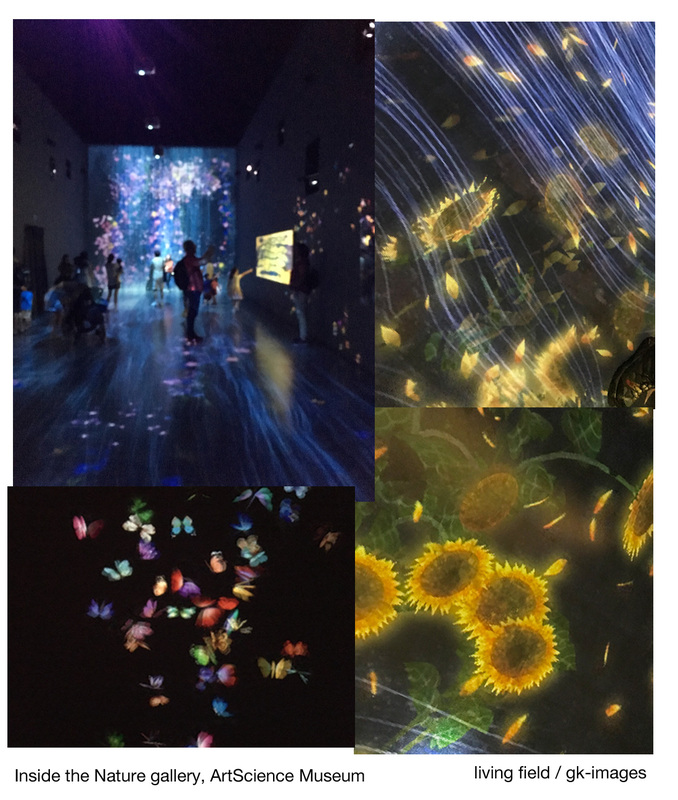 Excellent images of the exhibits can be viewed on teamLab’s web site . 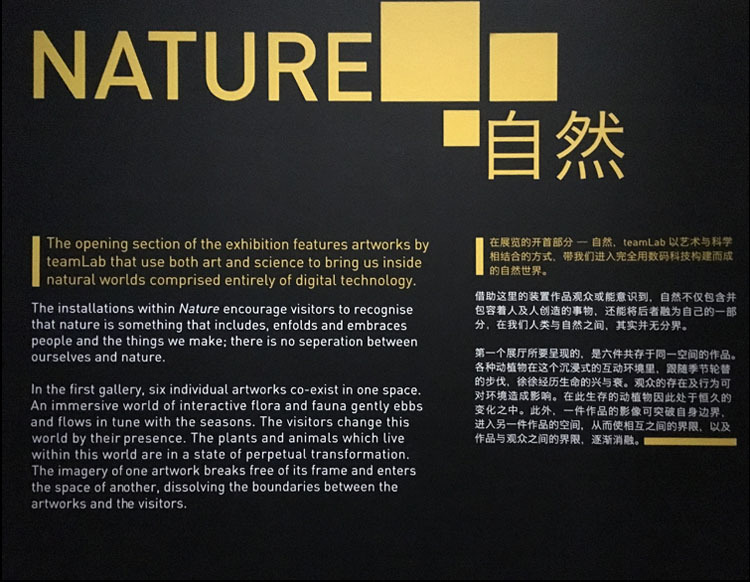 Next on from the Nature exhibit are a series of rooms where visitors can move things around, sit at desks writing and making things, interact with moving images and (for the very young) play with brightly coloured balls. Crocodiles crawl across the floor. They know you’re there! Leaving the darkened halls, the visitor emerges into the central shaft, a great space with a pond at the bottom and open to the sun and rain at the top, connecting inside to outside. Immediately beneath the ‘palm’ on three sides is a pond whose surface is almost covered with lily leaves. The pond is raised above the surrounding walkways, so that people can kneel on the bounding wall and peer into the water. The pond lies above the underground display halls and is said to filter light down through their ceilings. The pond extends some way out towards the Bay. The cluster of tall buildings at the city’s financial sector can appear as if they are on a level with the pond. To the right of the financial sector, directly by the Bay but too small to see from here, is the Merlion that continually spouts its stream of water (top panel, upper-right). 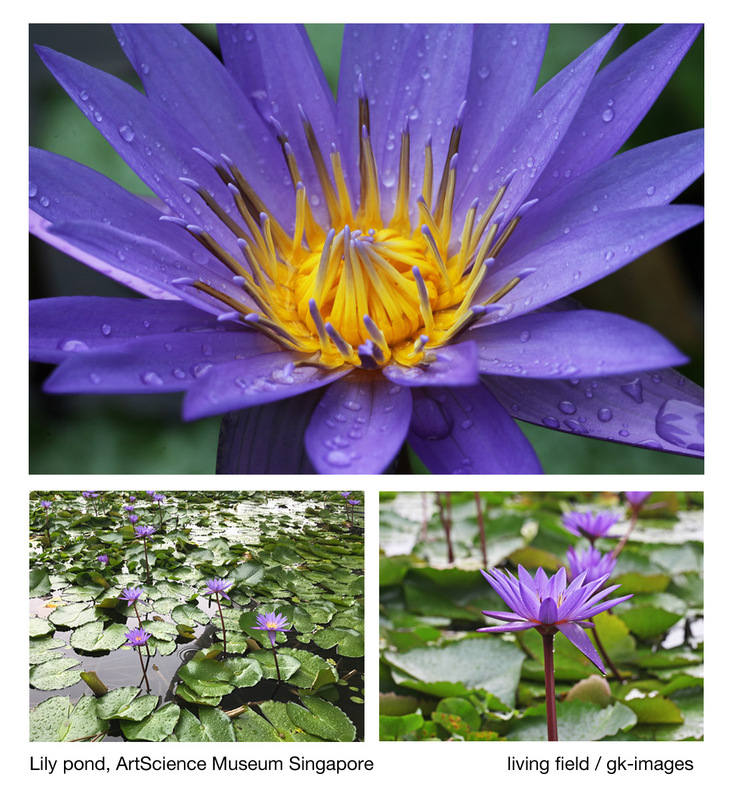 As in most other parts of Singapore’s centre, the standard of plant-culture is very high. 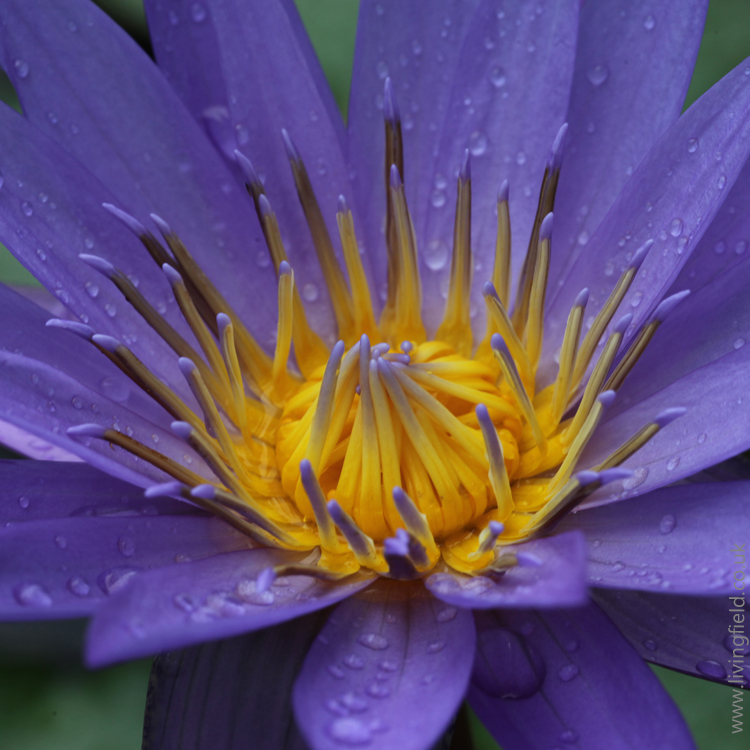 The lily pond is made to look like it takes care of itself, but there must be a continual pruning and removal of dead material and maintenance of an ideal nutrient balance in the water. In the Living Field’s work with artists, the starting point is usually some topic of environmental or agricultural science – field systems, population dynamics, the structure and functioning of roots, plant metabolites and so on. 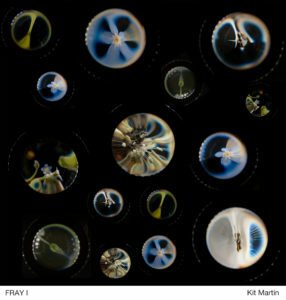 The artist bends scientific knowledge and sometimes the scientific process, bringing together things that could not possibly coexist or would at least be normally far apart in time or distance. A similar process underpins the construction of the Future World exhibitions. They do this to a degree subliminally, through the senses. It’s the impressions that last, rather than anything strictly logical. 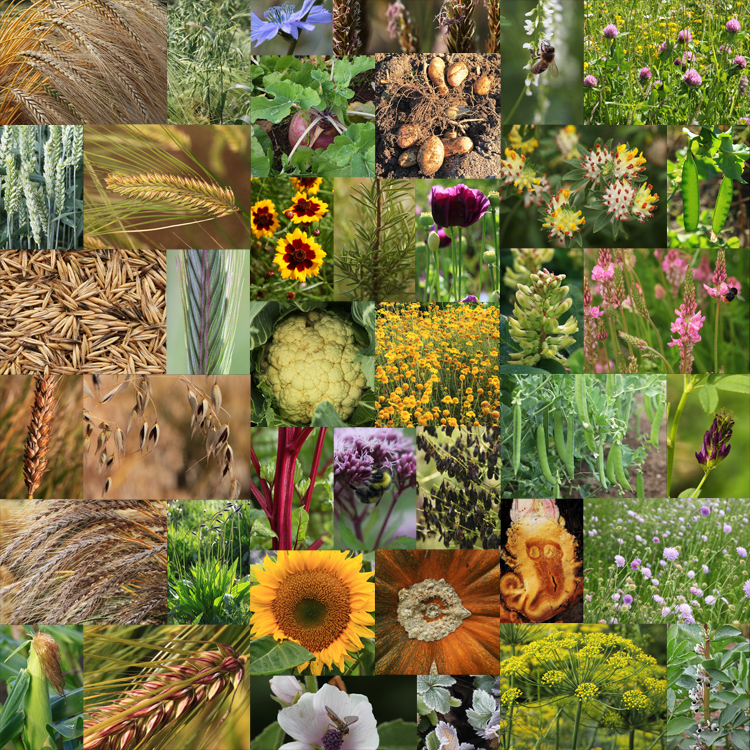 There’s more on one of the exhibits at the next post Real time virtual field – Tashbunosho rice. The Museum is well supported by Singaporeans. Like the V&A Museum in Dundee, it must be a source of great local pride. 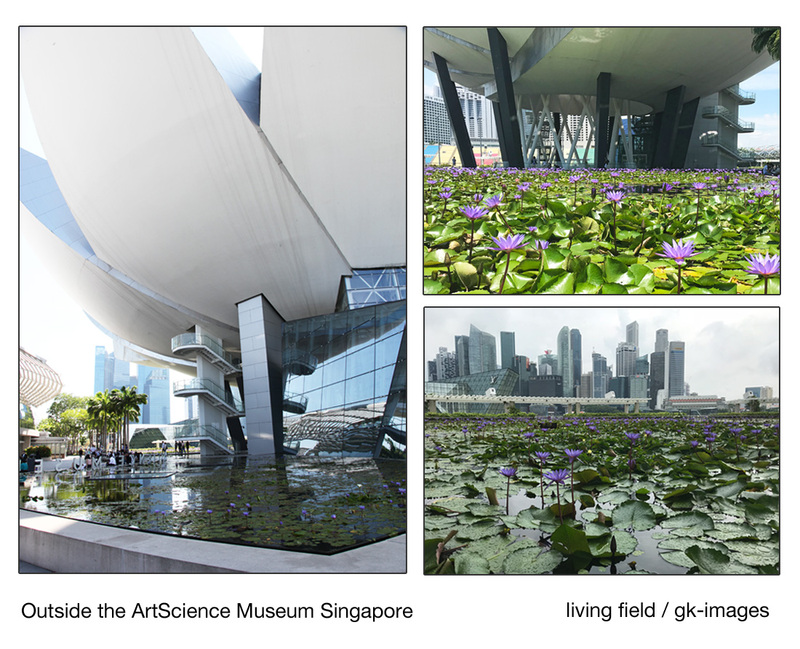 ArtScience Museum at Singapore – general information, ‘what’s on’, etc. 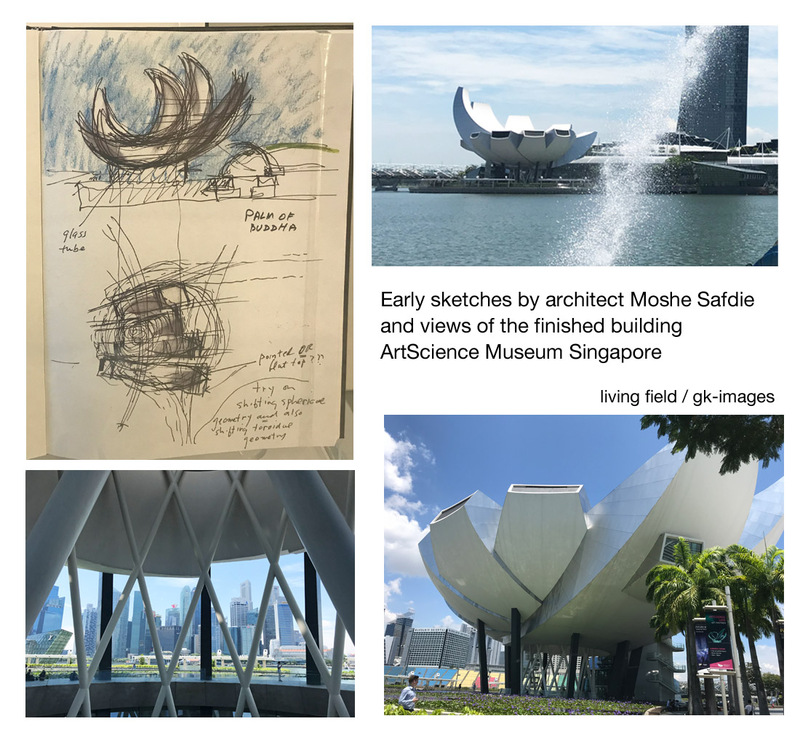 Designed by Moshe Safdie – link to the ArtScience Museum at Safdie Architects. teamLab – perhaps start with www.teamlab.art/concept. See also interviews and comment at Indesignlive, e.g. 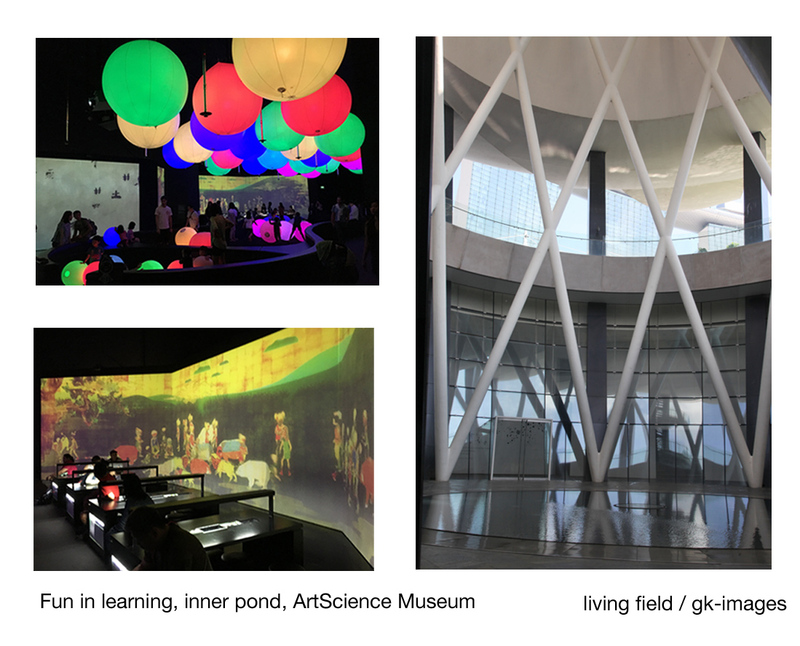 5 minutes with teamLab and coverage of their Tokyo exhibits at New Digital Art Museum in Tokyo. 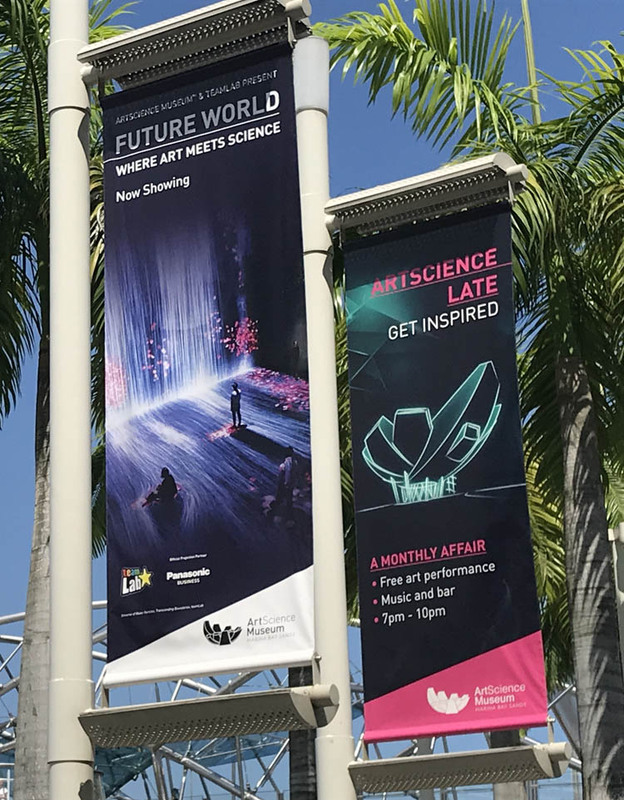 Future World – where art meets science – link to see more on this permanent exhibition at the ArtScience Museum Singapore.